Have you ever tried to report spam, or report a spammer, only to be asked to copy and paste and send them the full email headers of the spam? Have you experienced frustration trying to figure out what it is that you are supposed to send, and where to find that email header? 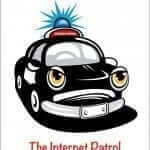 Well, the Internet Patrol to the rescue! Here is a simple, plain English, straight-forward tutorial to find your email headers, for nearly any email program! First, just what is an email header? 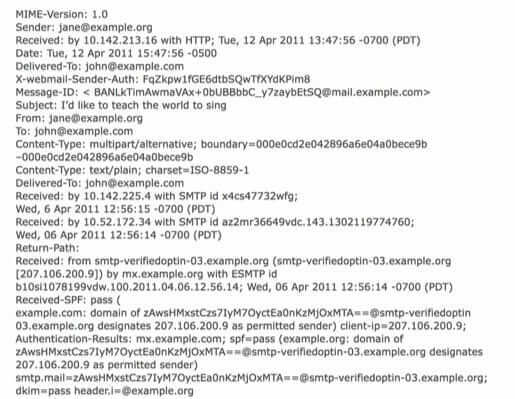 An email header is the part of the email that tells all of the computers through which the email passes important routing and other identifying information, such as who sent the email and from what computer, and to whom they sent it and at what other computer, and via what Internet paths. Whew! That’s a lot, isn’t it? Aren’t you glad that you only have to copy and paste them and send them along, and not decipher them? So, how do you find your full headers to send to them along? It’s really quite simple, once you know how! Here are directions for some of the most popular webmail providers and email programs. 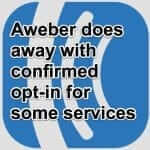 If yours isn’t listed here, please leave us a comment letting us know. Similarly, if you can provide instructions for an email program not listed here, please leave a comment with those instructions! • Open the message you want to view headers for. • Click the Down arrow next to the Reply button, located at the top right of the message pane. • Log in to your Yahoo mail account. • Select the message you want to view headers for. • Click the Actions dropdown and select View Full Header. • Log in to your Hotmail account. • Select Inbox from the left-side menu. • Right-click the message you want to view headers for and select View Message Source. • Log in to your AOL account. • In the Action menu, select View Message Source. • Log in to your Excite account. • Click the View Full Headers icon, located to the right of the From line. • Click on the message you want to view headers for. • Go to the View menu. • Select Message, then Long Headers. • From your Inbox, find the message you want to view headers for. • Right-click the message and select Properties. • Open the Details tab in the Dialogue Box. • On the Message tab, located in the Options group, click the Dialog Box Launcher icon. • In the Message Options dialog box, the headers will appear in the Internet Headers box. • Click the View menu and select Options. • Click the View menu and select Message Source.